Η έκδοση παραγωγής του Ampera παρουσιάστηκε στη Γενεύη. Η τιμή του έχει ήδη ανακοινώσει την αρχική τιμή του, η οποία ανέρχεται στα €42.900, ενώ στη Γερμανία χάρη στις εκπτώσεις φόρων της Γερμανικής κυβέρνησης, η αρχική του τιμή ξεκινά από τα €36.050. Το Ampera έχει 4 προγράμματα οδήγησης έτσι ώστε να γίνεται καλύτερη εκμετάλλευση των μπαταριών του. Το πρόγραμμα “Normal” είναι για καθημερινή μικτή οδήγηση. Το “Sport” κάνει την οδήγηση λίγο πιο απολαυστική μειώνοντας όμως την αυτονομία. Το πρόγραμμα “Mountain” ρυθμίζει το υβριδικό σύστημα να λειτουργεί πλήρως στις ανηφόρες και να μειώνεται στις κατηφόρες και τέλος το πρόγραμμα “City” έχει ως στόχο να δουλεύει κατά κόρων ο ηλεκτροκινητήρας και έτσι το σύστημα ανάκτησης ενέργειας κατά το φρενάρισμα και ο βενζινοκινητήρας φορτίζουν συνεχώς τις μπαταρίες ώστε να τις κρατήσουν όσο γίνεται στο 100%. Να θυμίσω ότι το Ampera μπορεί να έχει αυτονομία 40 ες 80 χλμ κινούμενα αποκλειστικά με τον ηλεκτροκινητήρα του αλλά τότε ένας βενζινοκινητήρας 1.4 λίτρων αναλαμβάνει, όχι την κίνηση του οχήματος, αλλά την φόρτιση των μπαταριών του, ανεβάζοντας έτσι την αυτονομία στα 500 χλμ. Η ροπή του κινητήρα αγγίζει τα 370 Νm, ικανά ώστε να κάνει τα 0-100 χλμ/ώρα σε 9 δευτερόλεπτα με την τελική ταχύτητα να φτάνει τα 160 χλμ/ώρα. Η φόρτιση της μπαταρία ιόντων λιθίου 16 kW γίνεται μέσω απλής οικιακής πρίζας μέσα σε περίπου 4 ώρες. Η Opel αναφέρει ότι έχει ήδη 1000 προ-παραγγελίες με τις παραδώσεις να ξεκινούν μέσα στο 4ο τετράμηνο του έτους. Rüsselsheim. 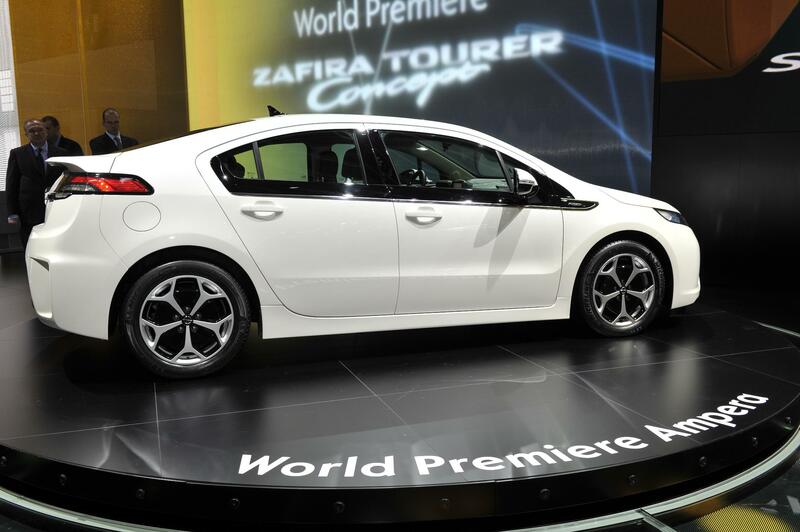 The Opel Ampera is set to establish an entirely new segment in the European automotive market. 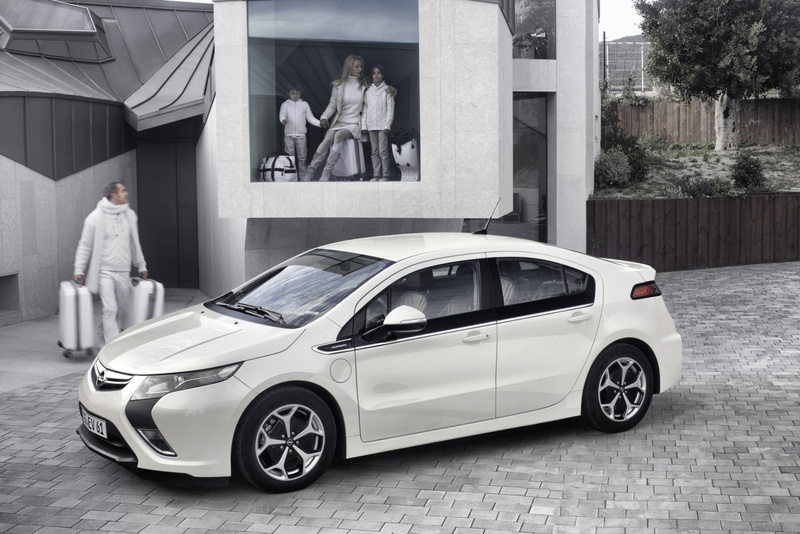 Scheduled to enter the market later this year, the five-door, four-seat Ampera is designed to provide all the benefits of an electric vehicle while eliminating range anxiety. 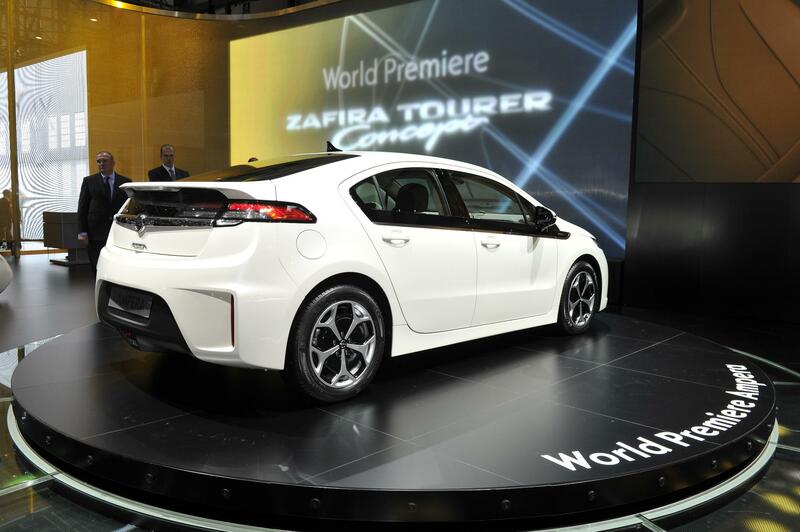 The production version of the Ampera will make its world premiere at the Geneva Motor Show (March 3 – 13). 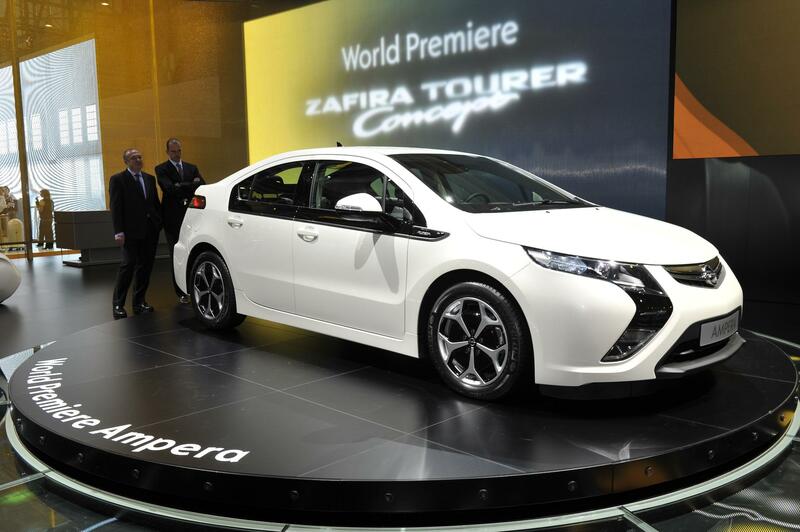 Around 1,000 people across Europe have reserved an Ampera to date, with half of those being corporate customers. 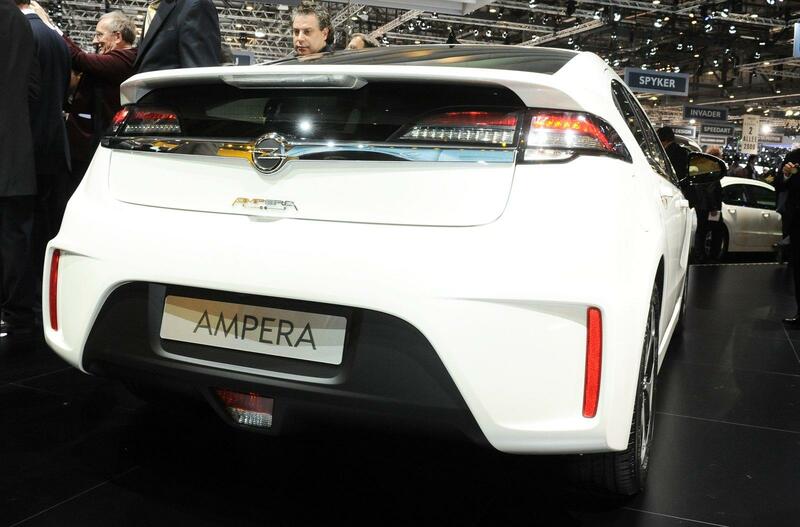 The Ampera has already been chosen as the winner of numerous awards by media and the public. The revolutionary technical concept convinced the readers of Auto Zeitung, who awarded it the “Auto Trophy 2010” in the electric vehicle category. The Ampera was named runner up for the “Green Steering Wheel 2010”, a special category of the “Golden Steering Wheel”, by readers and the jury of Bild and Bild am Sonntag. And the respected jury of Auto Test magazine awarded it the “e-car award 2010” in the category “Innovation/Technical Concept of the Year”. 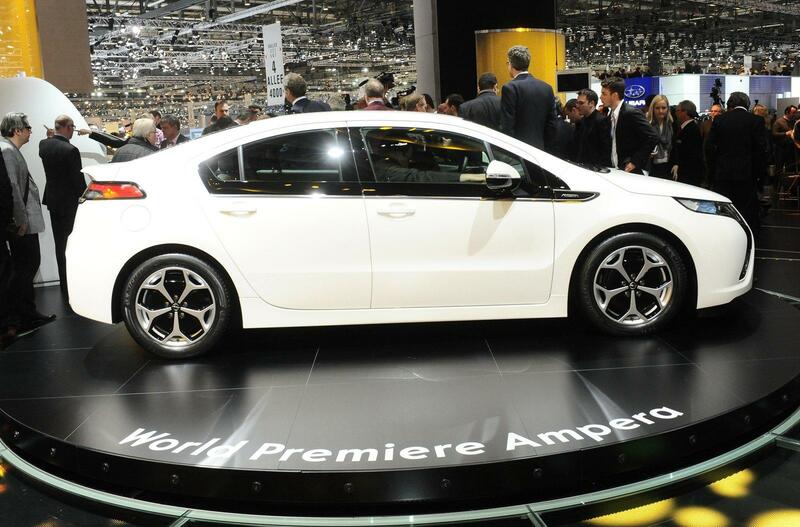 The Ampera’s user-friendliness had already won the “Green Technology Award” from the British magazine What Car? and the “Innovation Trophy” from L’Automobile Magazine in France in 2009. 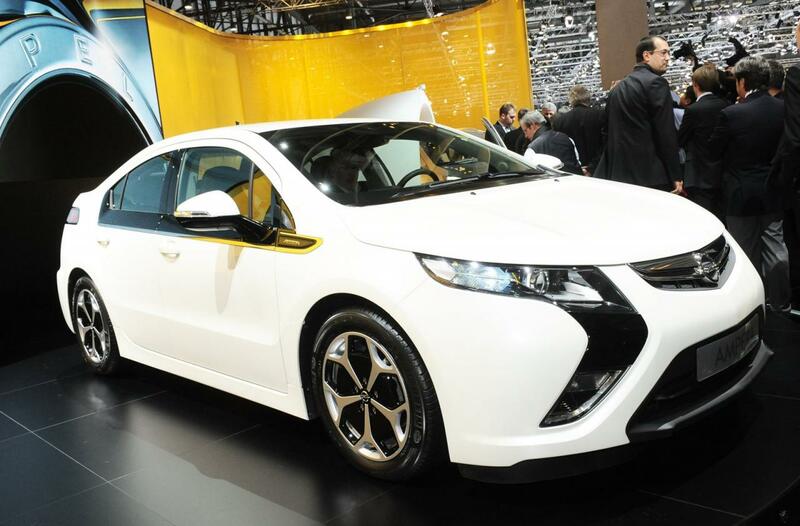 In contrast to other manufacturers, Opel offers the Ampera for a uniform price of 42,900 euros (RRP incl. VAT) throughout Europe. Because trim levels will differ from market to market, prices in each country may vary. Opel’s pricing scheme eliminates confusion by listing the total cost of the car and battery. The production version of the Opel Ampera does not deviate from the targets set during the development phase. With its unique electric propulsion system providing lively acceleration, high levels of refinement and all the benefits of an electrically-powered vehicle, the five-door Ampera seats four passengers and offers ample trunk space. Its striking design remains very close to that of the early concept cars. The Ampera carries the DNA of Opel’s new design language – a prominent grille, bold Opel badge and daring boomerang headlamps. Every element of the Ampera was designed and analyzed for efficiency, making the Ampera one of the most aerodynamic and energy-efficient vehicles on the market. Inside, the Ampera is packed with the content fitting for a ground-breaking vehicle, from Bose speakers to touch-screen monitors. 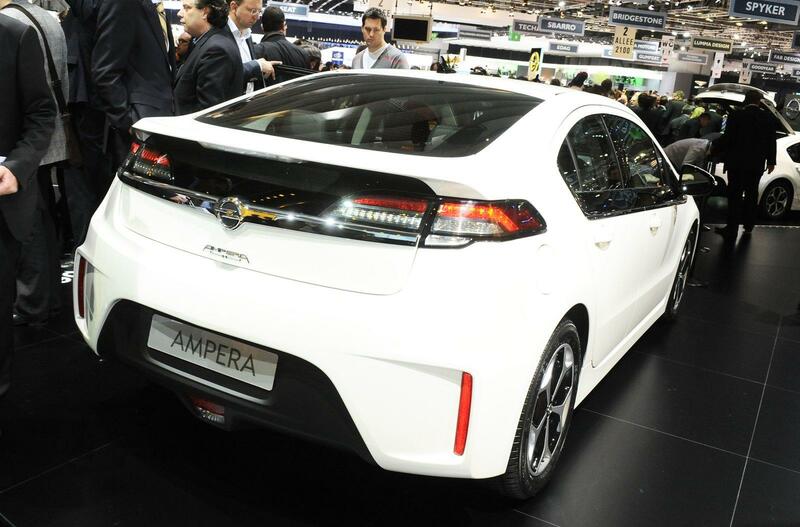 The Ampera is already electrifying a group of ePioneers across Europe. Around 400 pioneers have joined the www.opel-ampera.com community as potential customers. They receive exclusive information and services, they will be the first to take the Ampera for a test drive and enjoy a host of other benefits. A lot of people and ePioneers agree with Opel brand ambassador Katie Melua, who is travelling in an Ampera on her European tour starting in March: “I like the way environmental protection and sustainability are realized in the Ampera, and the way this green car embodies emotion and a zest for life,” said the British singer in London. The revolutionary Opel Ampera will be the first emission-free, electrically driven car in Europe suitable for everyday driving. Unlike a conventional battery-electric vehicle, the Ampera eliminates range anxiety. It gives drivers the confidence and peace of mind that a depleted battery will not strand them. The battery is recharged in about four hours at 230V by plugging the vehicle’s on-board charge system into a standard household outlet. Because the battery can be recharged conveniently, without the need for special charging equipment, most Amperas are likely to be driven in battery mode all the time. Independent research shows that around 80 percent of Europeans drive less than 60 kilometers per day, so the Ampera easily meets their requirements. For the first 40 – 80 kilometers (depending on terrain, driving style, and temperature), power is supplied by the electricity stored in the 16-kWh, lithium-ion battery. While driving on electricity delivered by the battery, the Ampera moves free of gas and tailpipe-emissions. If a longer trip is required, the gasoline-fueled engine can seamlessly extend the total driving range to more than 500 kilometers on a full tank. This full-performance, range-extending technology makes the Ampera the first electric car with the everyday convenience of a conventional automobile. The extremely quiet 111 kW/150 hp electric motor delivers 370 Newton meters torque from a standstill. 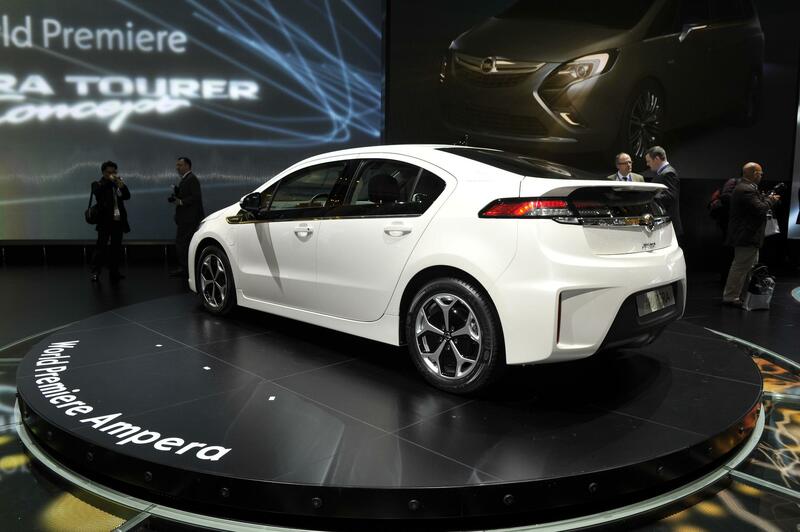 It accelerates the Ampera from zero to 100 km/h in around nine seconds and enables a maximum speed of 161 km/h. Via a “Drive Mode” button in the center stack, the driver can choose Normal, Sport, Mountain or City modes. These modes optimize energy management according to the prevailing driving and road conditions. The Normal mode is the default setting for the Ampera and is expected to be used most of the time to provide maximum efficiency. When the energy level of the battery drops below its state-of-charge operating window, the Ampera enters extended-range operation, during which the gasoline engine automatically runs to sustain the charge and enable extended-range travel. The battery’s state-of-charge is sustained by regenerative braking, allowing the gasoline generator to rest during long downhill stretches. The Sport mode automatically reconfigures the accelerator pedal to provide a quicker response. While Sport mode doesn’t provide a higher power output, it does provide a more sensitive reaction to driver inputs. The Mountain mode automatically adjusts the system to provide necessary power in mountainous environments, when the performance of conventional electric vehicles could be compromised. Mountain mode enables the range-extender to switch on, before the battery reaches its minimum state-of-charge. Drivers should select this mode after a full charge or 10 to 15 minutes before entering mountainous terrain to enable full vehicle capability up sustained grades. The City mode adapts battery management to the demands of modern commuter travel. Selecting City mode engages the range-extender immediately, saving the energy currently stored in the battery. When City mode is switched off, the range-extender stops and the Ampera is then able to use the energy saved in the battery for pure electric driving, for example in urban areas or restricted zones.